Welcome to my store! Thanks for stopping by. The book has been updated and improved! The first edition was released back in 1989 and this new version was completed in 2012. I felt the earlier version of the book lacked some explanation and examples. For this update I flushed out some of the ideas and included a lot of chord diagrams to make the ideas come to life. 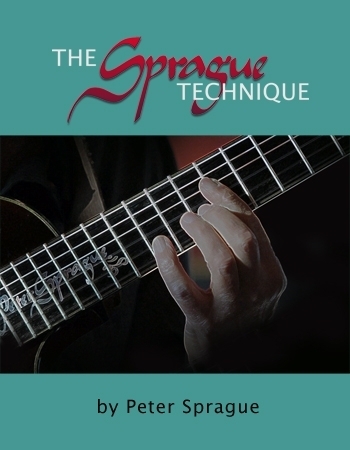 The book has received great reviews in Guitar Player Magazine and is a required music book for a class at Grossmont College in San Diego. Here is the introduction to the book. OVER MY MANY YEARS of playing the guitar, I have accumulated a number of ideas and exercises that have helped to improve my playing. These ideas came from various different sources but strangely enough, they come primarily from saxophone and piano players rather than guitarists. These have been the musicians that have influenced me the most. I have always been on the path to try and free up the limitations that I feel the guitar has, especially in jazz music. One of the main ways I have taken this on is in the form of making MUSIC the important factor, not just what the guitar can or cannot play. If you look at music in this way, some of the most influential people have been the saxophonists, the trumpet players and the pianists. These have been my teachers and now I am passing to you a refinement of their ideas filtered through the guitar. My hope is that they meet you on good terms, bring you improvement in your technique, and help free up your natural creative abilities. Keep it rolling… . © 2019 - Peter Sprague Music Store. All rights reserved.